Have you ever done “Tarzaning”? 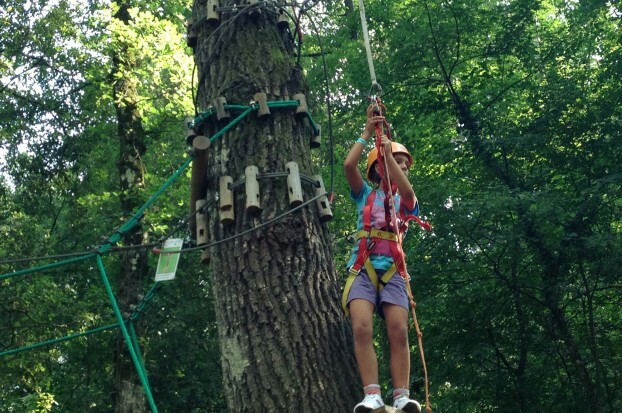 Discover the excitement of “Tarzaning” or “Arboring”, as many people call it, by swinging from tree to tree in the most “giantic” adventure park in Tuscany. You can choose from 10 different aerial trails located at different heights and designed to offer every age group an entertaining, educational sport. But what does the term “Tarzaning” exactly mean? 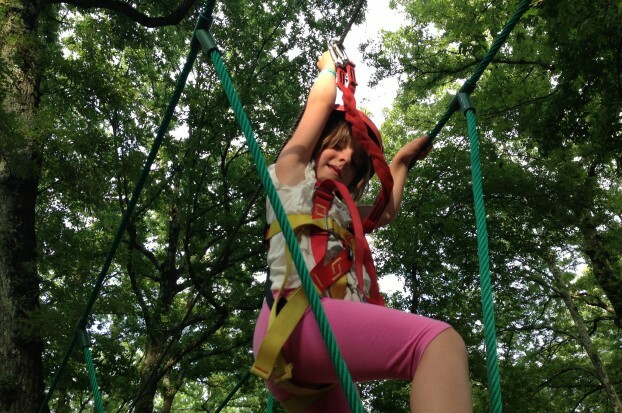 It means the excitement that you will experience when you jump into the air, hanging from your climbing harness and pulley, and swing from one tree to another with the help of lianas, small bridges, ropes, and gangways. How can you become little or big Tarzans without having any jungle experience? There is nothing to fear. A brief theory-practice lesson, conducted by an instructor, will enable everyone to learn how to “fly” safely with a proper climbing harness, a double halter equipped with snap hooks, a pulley and a helmet. 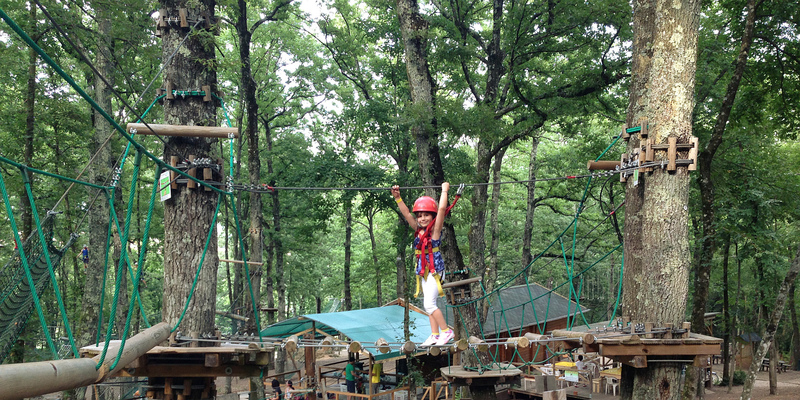 Every age has its own trail at Il Gigante Adventure Park. 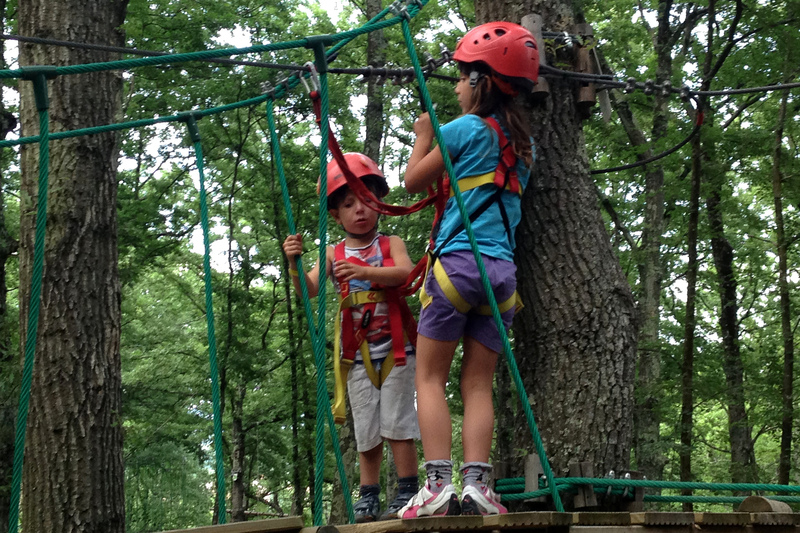 This makes your fun safer and even adults can experience their moment of glory. 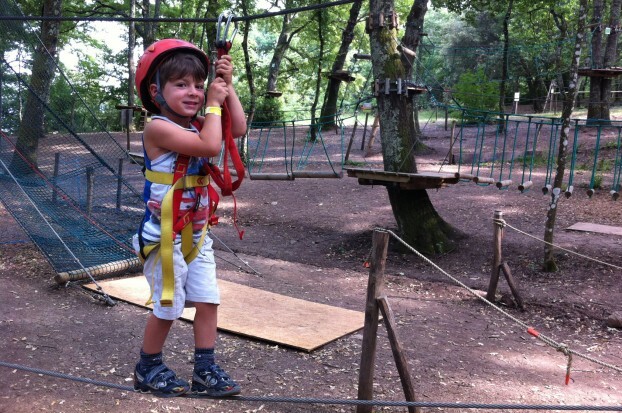 Butterfly trail: a meter above the ground, ideal for children 3 to 6 years old. Dormouse and Sloth Bear trails. designed for children 6 to 10 years old. Ladybird and Cricket trails: higher trails for children 8 years or older. Acrobatic “Tarzaning”: 4 trails that can be as high as 10 meters, for adults and adolescents 14 years or older. Il Gigante Adventure Park is about 22 km from Villa Campestri in the woods of Poggio della Garena in Pratolino near Florence. It is near the Villa Medici Demidoff that is listed as part of the Cultural Heritage of Unesco.